This is how it always goes with the industry. As soon as the some aspect of the tech is possible companies try to make a name for themselves by being first to market and they ultimately fail. Then, years later after the technology—and often multiple technologies—mature a company—often Apple, but not always—comes out with a refined product that integrates HW and SW that they spent many years refining to market. Completely different. Nowhere in the article does Cook say that glasses (or something like glasses) aren't the right approach. That's very different from "and we think putting a screen on your face is a ridiculous solution in search of a problem" or similarly dismissive statement. Come upstairs and look around. It's 2017. Interesting, I don't see Apple scared very much. Suspicious that he did this just prior to the Oculus announcement. Can't wait to get my iPhone X! It marks a milestone for the next decade. LOL. You think that Vogue article was slapped together this morning because someone tipped off Cook that Oculus was going to announce something? Yeah, it was probably brought up because Cook has mentioned AR in the past and the A11 Bionic as well as the iPhone X are clearly embracing AR. Plus, isn't Oculus focused on VR, not AR? 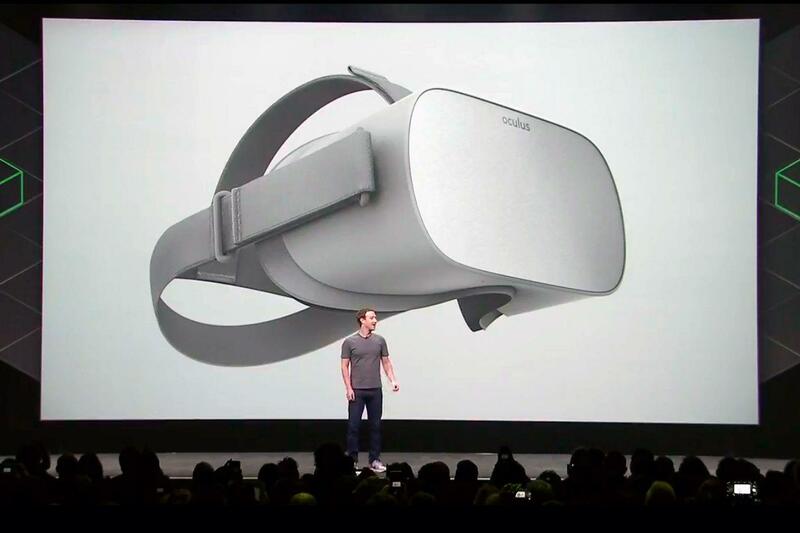 Oculus is still a view-obscuring and very confining piece of VR hardware. They're like wearing a scuba mask. Supposedly what Cook would ideally like to see would be AR glasses that are indistinguishable from regular glasses, other than the Apple logo. Its like the Xerox GUI... it was amazing of what it could do but the reality is that the Xerox GUI is not that intuitive at all. Apple made a GUI that is much more intuitive. I imagine the same with AR glasses. I agree, which is what makes MacBooks and the Magic Mouse so beautiful! We still don’t. You may, if that’s the narrative you’re pushing today. When you look at that picture of Google Glass, remember that there was a HUGE battery and processing unit hidden behind the ear for it. Leaving aside, for the moment, the creepiness of glasses with a camera in them that is continuously on (as with GG), this is probably a big part of what Cook is referring to as a stumbling block for a true glasses wearable. I think we'll get there, I think Apple is unlikely to be the first to solve the problems, but we'll get there -- it will just take WAY longer than people think it will. My blu-ray player remote has something like 50 buttons half of which do nothing or displays "operation not permitted." The old smartphones had a qwerty keyboard and more buttons crammed into it before iPhone replaced it with a single home button and multitouch. Extra buttons is how an engineer solves a design problem. I definitely agree with him on the technical feasibility of AR glasses. We definitely aren't there yet. I can easily imagine that AR will be very valuable once AR glasses become feasible. But for now, everything AR looks like an unimportant gimmick to me. So tell us, what "approval" process occurred that would make and interview that occurred well before today's publication in your mind makes this a preventive rebuttal to an unknown announcement by Oculus? To me, it sounds like you're talking about the most bizarre conspiracy theory imaginable if you think that anything in this interview has anything to do with what Oculus stated today. This is not what they’re aiming for. And there’s no point in releasing “scared” interviews now when they’re literally years away from a product of their own. Apple’s AR glasses won’t see the light of day until they can shrink the iPhoneX camera array until it can fit behind a spectacle frame, or they can come up with a spectacle lense that is a camera as well as a screen. You know, it didn’t even occur to me that there was extra gubbins attached to the Google Glass. I though it was all in that big camera module.